Launched in April 2015, Hakai Magazine explores science, society, and the environment from a coastal perspective. The magazine is part of the Tula Foundation. While we are editorially independent, we share the same philosophies as the Tula Foundation, celebrating exploration, discovery, and science. The name Hakai is inspired by Hakai Pass which is within the Hakai Lúxvbálís Conservancy, one of the largest protected marine areas on the west coast of Canada, located about 400 kilometers north of Vancouver. 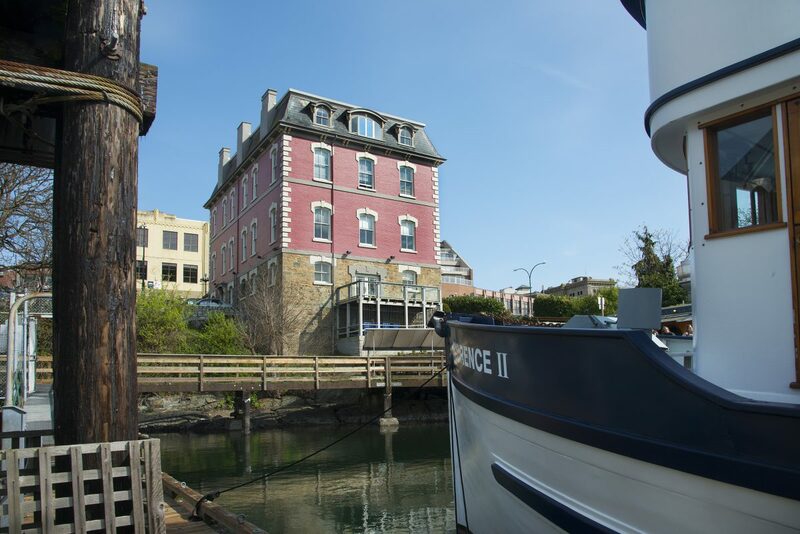 Our offices are on Wharf Street in Victoria, British Columbia, Canada. If you want to get in touch, visit our Contact Us page or find us on Facebook and Twitter. If you are a writer, illustrator, artist, photographer, or videographer and are interested in contributing, please see our Submission Guidelines. To launch a magazine in the 21st century is a little crazy. But the disruption to 20th century media outlets by the Internet has created irresistible opportunities: to report and discuss issues through a combination of media; to reach previously unattainable audiences; to steer a small part of journalism’s future. Hakai Magazine wades into an evolving media landscape with the will to commit acts of journalism that focus on the world’s coastlines, where almost half of the global population lives. Our stories are about the coast—past, present, and future. Around the globe, coastal ecosystems cushion and support communities. The coastal margin filters toxins and hinders erosion while providing food, jobs, and critical transportation hubs for people. Fish and other creatures rely on coasts for food, shelter, and breeding grounds. To understand this land- and seascape, people need access to accurate, unbiased, and engaging information. Winner of the gold award in the Independent Publisher of the Year category at the 2018 Canadian Online Publishing Awards. Winner of General Excellence in Digital Publishing: Medium Publication at the 2018 Digital Publishing Awards. Winner of the silver award for Best Email Newsletter at the 2017 Canadian Online Publishing Awards. Winner of the 2017 American Society of Journalists and Authors Award in the best Opinion/Op-Ed category for “The Sadness of Solving a Mystery” by Cameron Walker. Winner of the silver award in the Best Article or Series category at the 2016 Canadian Online Publishing Awards for our “Battle for the Coastline” series. Winner of the 2016 Canadian Science Writers’ Association’s People’s Choice Award for best Canadian science website. A man steps from the dock and onto a bobbing boat that, if it were toy-sized, would look at home in a bathtub. He pushes away from the dock, and the canary yellow “H20 taxi” putts away, shuttling tourists to their next destination. The smell of fried fish floats on the breeze and the chatter of people enjoying their lunch or strolling the wooden boardwalk punctuates the air. The scene from the deck of our office overlooking Victoria’s Inner Harbor is ever changing, the only punctual and reliable event in our busy office being the baritone blasts of the M/V Coho, a ferry that sails between Victoria, British Columbia and Port Angeles, Washington several times a day. From the roof of our office building, we have a 360-degree view of the ancestral home of the Lekwungen People. The harbor provided shelter from the open ocean as well as rich fishing and intertidal habitat, while the surrounding forests were prime hunting grounds and a ready source of timber and edible plants. What was good for the Lekwungen was good for the Hudson’s Bay Company (HBC), too. The company’s Chief Factor, James Douglas, recognized that the harbor’s geography and abundant resources, combined with a capable Lekwungen workforce, made a “perfect Eden,” and an ideal site for a trading post. Were our offices here in 1843, our day’s work would be accompanied by the sound of construction as the trading post—and what would eventually be called Fort Victoria—rose next door. Trade in this corner of the HBC’s empire flourished and before long Victoria was the busiest harbor north of San Francisco. When British Columbia entered confederation in 1871, Victoria was an established commercial center, but had no federal presence, at least in the physical sense. A building of brick and stone was one way to flex some federal muscle, so in the spring of 1874, construction of the Victoria Custom House began. The Second Empire architectural style was popular for government buildings of the era and the substantial square structure, with its mansard roof, hooded dormers, and “restrained details” established a permanent federal presence in the city. The Custom House had a lower receiving floor, an upper level for offices, and a clear view of the harbor. The lower floor—where we work today—was the warehouse. When gold was found in the Klondike in 1897, prospectors rushed to Victoria and lined up by the hundreds at Custom House, spilling out along Wharf Street, as they waited for a mining license. After the initial rush for gold, the Collector of Customs and his staff worked out of these offices for two more years, ensuring that the federal government’s regulations were enforced and closely monitoring the goods entering and leaving the city. As Victoria prepared to welcome a new century, the custom offices moved and the harbor master and other federal departments took over the building. In the mid-1940s, the Custom House was renamed the Marine Building and became the navy’s mess hall. In 1952, the building was renovated yet again to house the headquarters of the HMCS Malahat Naval reserve, a volunteer “citizen navy,” and given its current name, the Malahat Building. Today, the Malahat Building is privately owned and houses four floors of offices, including those of Hakai Media. It remains the oldest surviving example of a 19th-century Second Empire federal building in western Canada and is federally recognized through the Historic Sites and Monuments Board of Canada. Curious about what lives beneath the water in Victoria’s Inner Harbor? We were, too. Take a dive with us. Good schools? Check. Reasonably priced housing? Check. Close to friends, family, a great coffee shop? Check, check, check. To choose a place to call home we feed myriad factors into a personal quality-of-life matrix. Out spits options that balance basic needs with “nice to haves.” Historically, human needs were more fundamental: family, food, water, shelter from the storm. The protected inner harbor in downtown Victoria, British Columbia scores well on all accounts and has been home to generations. The harbor is part of the traditional territory of the Lekwungen People. The Lekwungen were attracted to the harbor area to harvest plants, including cherished camas bulbs and seafood. Sites of cultural and spiritual significance, including a burial ground on what is now Laurel Point, stud the harbor’s shoreline. Although the Lekwungen modified the land through regular burning—a technique for maintaining camas meadows—the arrival of the Hudson’s Bay Company (HBC) in 1843 ushered in the manufactured landscape of the industrial revolution. The forests came down as Fort Victoria—with its eight buildings, two octagonal bastions, and 5.5-meter stockade—went up. As the HBC’s “grand depot” west of the Rockies, vessels regularly sailed into the harbor, unloading supplies for the company’s extensive network of interior trading posts, and loading furs and other products for export. The settlement of less than 600 people suddenly hummed with activity in 1858 when up to 30,000 gold miners flooded through on their way to the Fraser River Gold Rush. Over the next few years a series of other gold rushes in the British Columbia interior drew more people, but by 1864 the frenzy for gold had fizzled. By the time the last vestige of Fort Victoria was finally dismantled in 1864, Victoria was the capital of the Colony of Vancouver Island and later, in 1871, the capital of British Columbia when it became the sixth Canadian province. Just below Hakai Magazine’s offices, on land sloping toward the harbor, remains a trace from the days of the fort: three ship mooring rings. In the late 1800s, Victoria’s Inner Harbor was home port to about 100 schooners involved in the commercial fur sealing industry. Victoria and its protected harbor continued to grow as a commercial center. By the late 1800s, the harbor was the off-season home to the Pacific fur sealing fleet. Warehouses, piers, shipyards, and iron works crowded the shores of the inner and outer harbors over the years, the assemblage morphing as real estate shifted from one venture to the next. 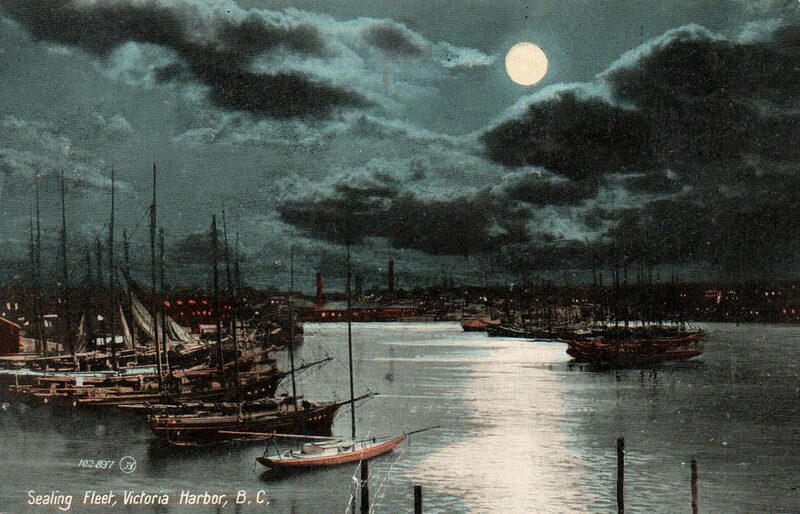 By the early 1900s, Victoria’s harbor was already transitioning to tourism. A regular steamship service—the Canadian Pacific Railway’s “Princess Line”—delivered people, mail, and supplies to coastal communities on a regular schedule. Ferries to Vancouver and the United States, and floatplanes, also added to harbor traffic in time. Today, condos and hotels have replaced most warehouses and industry. The harbor’s purposes may have metamorphosed, but it still remains a focal point for the city. And a great place for a magazine office. On this urban shore in Victoria’s Inner Harbor where Hakai Magazine’s office stands, it’s easy to miss the natural world when you’re doling out dining advice, giving directions to Chinatown, or dodging tourists with selfie sticks. Out on the water, gulls scream, herons glide, and the odd seal breaks the water’s surface, but much of the harbor’s natural history is hidden. You must sleuth it out. Below the water’s surface exists a surprisingly rich undersea metropolis populated by marine invertebrates. Much of the eelgrass that once lined the shallows is gone, but, in the murky water, shrimp wave their antennae rhythmically, “tasting” the water for food. Crabs scuttle among sedate anemones and human detritus, such as discarded cans and plastic forks. Mussels, barnacles, and feather duster tube worms stud the wharf’s creosoted pilings. Then there are the old creeks, hidden not beneath waves but below the brick and asphalt of Victoria’s downtown core. Just north of Hakai Magazine’s office, near the Johnson Street Bridge, lies the grave of the Johnson Street Ravine. More than a century ago, the ravine drained a marsh about 500 meters inland, and ran along the south side of what is now Canada’s oldest Chinatown. As the urban landscape grew, city workers filled the ravine and rerouted the creek underground. Today, it unglamorously drains into the harbor below the bridge via a storm water outfall. Here, too, a determined sleuth could find one of the last exposed stretches of the original shore. Past the sidewalk near the bridge, a narrow, neglected strip of bedrock slopes to the water, shrouded in moss, sprigs of licorice fern, and snowberry shrubs. The scant greenery is not the botanical bonanza of the past, when a mosaic of Douglas fir, rusty arbutus, gnarled Garry oak, willow, salal, and other vegetation covered the land. Heading south, the outcrop vanishes beneath Victoria’s old seawall, which extends to the causeway in front of the Empress Hotel. In the city’s early days, a wooden bridge connected downtown Victoria to James Bay, providing a muck-free passage over an expansive mudflat, which was rich habitat for marine invertebrates and wading birds. In the early 1900s, a stone causeway replaced the bridge and over 300,000 tonnes of fill spread over the landward side, converting the mudflat to a building site for the Empress Hotel. At the same time, a creek that once flowed onto the flats was yoked into storm water service. But those mudflats still exist—sort of. 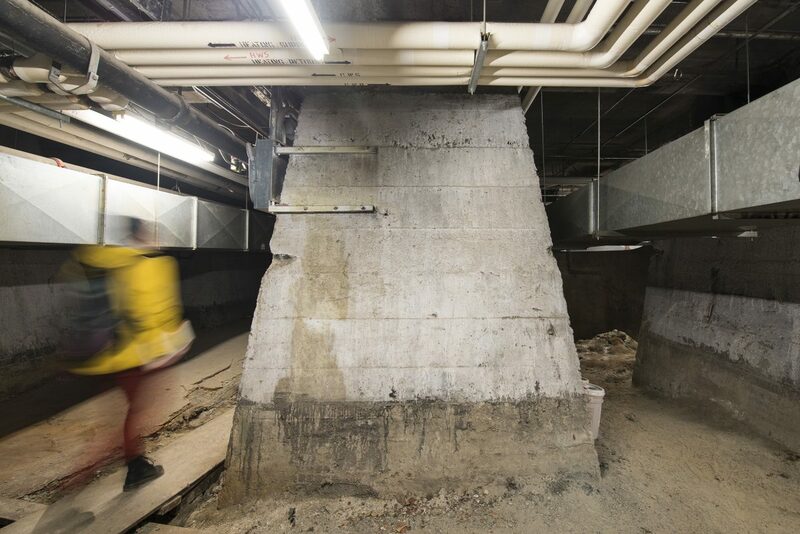 A peek into the hotel’s basement reveals 55 huge concrete pillars and, beneath them, about 2080 Douglas fir pilings driven deep into mud support the hotel. The still-muddy ground keeps the wood wet and the rot at bay. It may look completely urbanized, but amid the ferries, seawalls, and storefronts, you can still spot clues to the ancient shore beneath. You just need to pay attention.